Violet Hawthorne is beyond mortified when her brother Ezra turns their deceased parents' New England country inn into a brothel to accommodate the nearby lumberjacks, but when Violet's own reputation is compromised, the inn becomes the least of her worries. In an effort to salvage her good name, Violet is forced into an engagement with a taciturn acquaintance: Vance Everstone. As she prepares for a society wedding, Violet learns that her brother had staked her hand in marriage in a heated poker game with the unsavory Rowen Steele, and Ezra had lost. Now Rowen is determined to cash in on his IOU. With danger stalking her and a new fiance who hides both his emotion and his past, Violet must decide who to trust, and who to leave behind. 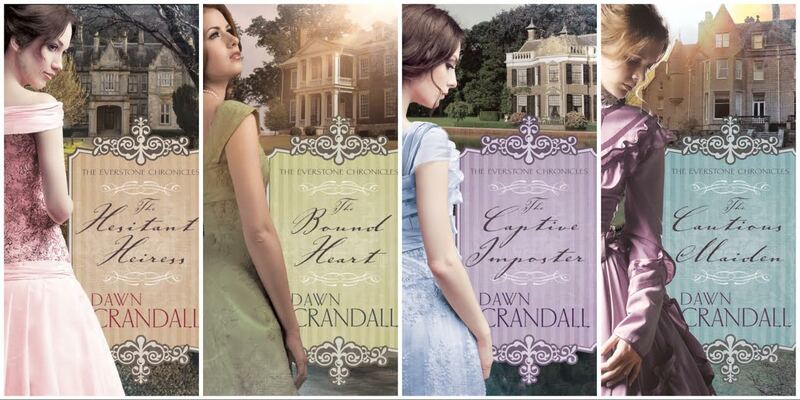 If you've read any of Crandall's books, you'll know she writes in first person and loves romance--and this fourth book in her series is being touted as her best by those who've read it. I tend to agree. 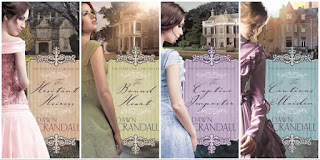 Crandall deftly mixes a slightly suspenseful plot, a reformed hero, and a stronger-than-she-looks heroine with a group of secondary characters who only enrich this cast. She also continues to have strong spiritual and emotional threads while maintaining sigh-worthy romance. And somehow she manages to do it all with a voice that was created to write historical. There's something lyrical and old-fashioned about her writing, and yet it's fresh and new at the same time. Her books are ones I never expected to enjoy (I'm not a first-person fan and I prefer contemporary to historical) and yet have every one of them on my shelf. And so...I'd love to give you the same chance! I'm not only giving away a copy of The Cautious Maiden, but Dawn Crandall is helping me give away the entire series. OH! And she's signing The Cautious Maiden before sending it out. I'll be running this contest here and on my Facebook page. All you need to do to be entered to win is comment here or there. I'll randomly pick a winner next Thursday night and announce who it is right here next Friday. 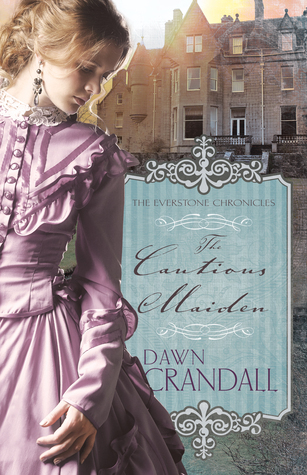 But if you cannot wait until then, you can always purchase The Cautious Maiden here. Must be 18 or older to enter. Contest open to US Residents only. This contest is not sponsored by, affiliated with, or endorsed by Blogger or Facebook. Contest open until 11/3/2016 at 11:59 p.m. Winner will be randomly drawn from all eligible participants. Would love to read this entire series. The cover alone makes me swoon. :) The inside will too! I absolutely adored "The Cautious Maiden", but haven't read the previous books - I really want to though and can't wait to! What a great review! I would love to win the series. :) thank you! They are great books! Great review! Thanks Susan for sharing! I have not read any of these - I look forward to reading them!